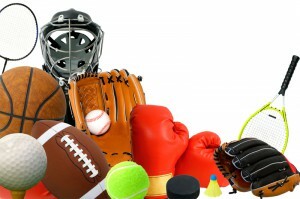 Is a League Liable for Faulty Sports Equipment? 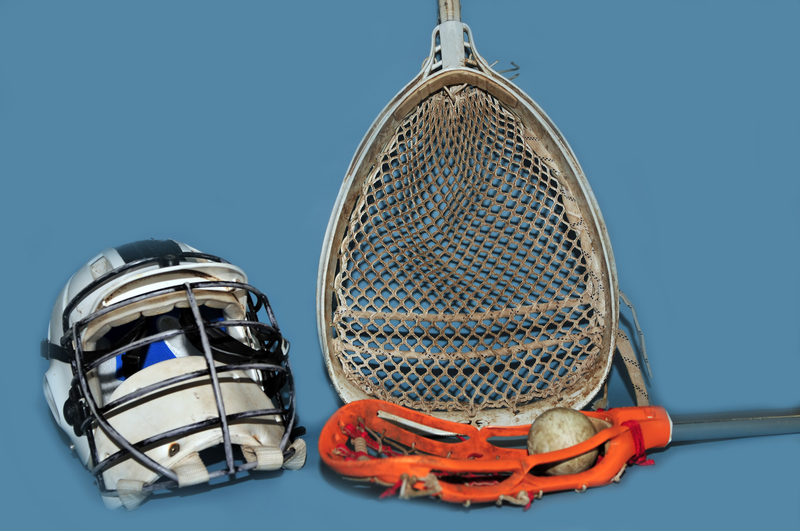 We received a phone call from a youth lacrosse club coach who was concerned about the use of 20-year-old helmets that haven’t been reconditioned or re-certified. He wanted to know if he could be liable in the event of a head injury to a player since it his responsibility to verify to the referee prior to the game that all equipment is in safe operating condition. He also wanted to know if his General Liability policy would cover any potential lawsuit. Long-range planning for the repair, refurbishment, and replacement of helmets. These decisions need to be made far in advance as they can take time to budget and complete. Confirming helmets meet current National Operating Committee on Standards for Athletic Equipment (NOCSAE) requirements, as well as the requirements of the sports governing body. Helmets should be inspected for defects in post season, pre season, weekly, and prior to any game or practice. Maintaining repairing, and conditioning equipment on a regular basis. Reconditioning to “like new” basis of safety equipment such as helmets should be performed by a reputable reconditioning business as opposed to an on staff trainer. NOCSAE may require re-certification. Replacing helmets on a periodic basis per manufacturers recommendations. Record keeping for documentation purposes on all of the above. There is no doubt that many of the above outlined principles may have been violated and the coach is justified in his concerns about liability. General Liability policies generally don’t have an exclusion for lawsuits arising from of injuries due to failure to follow proper equipment safety protocol as outlined above. Therefore, coverage is likely to exist under most policies. However, a minority of policies may have a punitive damages exclusion. Willful disregard of known safety protocol could result in punitive damages. In addition, any litigation, even if covered by General Liability insurance, results in a black eye for the program and pretrial discovery and litigation is an emotional drain on league administrators and coaches. The National Operating Committee on Standards for Athletic Equipment approved a revised football helmet standard requiring helmet testing for certain concussion-causing forces on June 20. This is the first helmet standard to include testing for concussion-specific forces. The current standard requires helmets to pass tests involving multiple linear impacts delivered in various conditions, locations and strengths. An addition to this standard tests helmet performance under a combination of forces associated with concussion-type injuries, specifically those that make a player’s head spin suddenly. This is called rotational acceleration, which causes twisting and stretching of the brain within the skull as the head makes a rapid direction change. If no revisions to the standard are made within the next year, the NOCSAE board will likely finalize the standard and require its implementation by manufacturers by June 2016. “Our next step will be to establish a threshold that helmets must meet to reduce concussion risk. NOCSAE will continue to challenge the scientific, medical and manufacturing communities to explore solutions for enhanced athlete safety,” said Robert Cantu, NOCSAE vice president and co-founder of the Sports Legacy Institute. NOCSAE stresses that concussion-proof helmets are not likely, and that effective concussion prevention requires measures be taken both on and off the field. Ensuring proper helmet fit, teaching athletes proper techniques, enforcing the rules and making sure athletes follow recommended time off before returning to play are necessary steps in reducing concussion risks. It’s not clear whether helmet changes really will help, cautioned Dr. Thom Mayer, medical director of the NFL Players Association is cautious about whether helmet changes will actually make a difference. “[W]e’re committed to making sure we look at what are the most cutting-edge helmet testing standards available. This is a step in the right direction,” he said. Millions of youth play school or community sports. The number of those suffering concussions is unclear because of how many go undiagnosed. Emergency rooms across the country treated 250,000 people 19 and younger for concussions and other sports- or recreation-related brain injuries in 2009, according to The Institute of Medicine. More information on concussion signs/symptoms and concussion prevention, including tips for concussion risk management, is available on our blog and risk management page. Occasional injuries in a gymnasium or sports facility are to be expected, but they’re usually due to the inherent risk of sports participation. However, no one should ever expect an equipment-related injury. In-depth equipment inspections should be conducted annually, and visual spot checks every month. Documentation of these inspections is an integral part risk management and can be the key to combatting allegations of negligence or noncompliance in the event of an injury claim. Don’t assume staff is knowledgeable enough to conduct these inspections. If necessary, hire a professional inspection service. Such services usually don’t perform repairs, but can refer you to a company that does. If performing your own in-house inspections, there are areas that can be easily overlooked. As every grocery store manager knows, people focus on what’s at eye level. Sports facilities often have wall-mounted and/or ceiling-mounted systems, such as basketball nets, storage systems, and lighting. Make it a priority to look up for frayed cables or broken pulleys and mounts. Staff, players and fans are susceptible to serious injuries from stretched cables, loose attachments, or improperly stored equipment. “If you see something that might be a problem, you need to investigate.” – Nick Cusick, Bison Inc. The gym floor houses equipment that can poses risks as well. Volleyball nets and soccer goals should be inspected for proper anchoring. 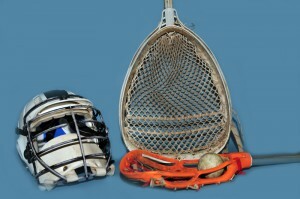 Unsecured equipment can fall on players or cause players to trip. Safety wall padding should be checked regularly to ensure none is loose and still in good shape, not torn or worn thin. If you have questions or concerns about safety issues, contact Sadler Sports and Recreation Insurance at (800) 622-7370. And don’t forget to “like” us on Facebook! Source: Emily Attwood, “Inspections, Monitoring Key to Optimal Gym Operation,“ Athletic Business. March, 2014. Did you hear the one about the fellow lifting weights while using a large exercise ball to support his back? As he was pumping two 40-lb. dumbbells in this position, the exercise ball seam suddenly split, deflating the ball and sending the man crashing to the floor. He suffered injuries to his wrists and back, which were treated, but he sued the fitness club and the manufacturer and distributor of the exercise ball for more than $5 million. Turns out he was an aspiring golfer hoping to join the PGA. He claimed the injuries derailed his career and potential prize winnings and product endorsement earnings. The plaintiff alleged, among other things, that the club neglected “to conduct timely and adequate inspections of equipment for defects and potential hazards such as damage or excessive wear.” His claims were based on the ball manufacturer’s instructions indicating the product had a one-year life expectancy and should be checked “for wear “before each use. 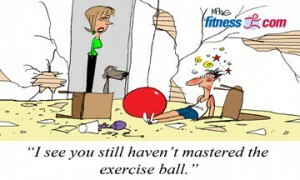 After spending 2.5 years in court and hundreds of thousands of dollars in attorney fees, a settlement was reached when the the fitness center was unable to document the date exercise ball was first put in use or provide an inspection record. The manufacturers of each piece of equipment from treadmills to yoga mats comes with life expectancy and maintenance guidelines. To minimize the risk of an explosive situation like the one above, pay attention to, follow, and document compliance with the equipment manufacturer’s recommendations. Replacing a piece of equipment is much cheaper, and safer, than the alternative. TV entertainment equipment and mounts . Calibration and cleaning of cardio equipment per manufacturer’s recommendation. Inspection of treadmill belts and decks for wear. Lubricate as needed. Removal of treadmill motor shrouds for internal vacuuming. Inspection of elliptical mechanical parts for wear. Lubricate as needed. Inspect/lubricate bike chains, cranks, pedals and straps and replace as required. Inspection of all strength training equipment, including but not limited to: adjusting cables, belts, pulley alignment, tightening bolts and adjusting range of motion cams. Inspection of exercise class equipment, i.e. balls, steps, bands, weights, etc. Reducing player concussions is a top priority in the world of football. Despite earlier blog postings citing doubts about the protective ability of advanced helmets, the latest research says advances in helmet design can make a huge impact on lowering the number of concussions for football players of all ages. A recent study was the first to be conducted on the playing field, not in the lab. Two differently-designed Riddell helmets, the VSR4 and the Revolution, were fitted with sensors and tested on nearly 2000 college players over a five-year span. The Riddell Revolution helmets showed a 54 percent reduction in concussion risk compared to the VSR4. Player participants were from schools such as UNC, Virginia Tech and Brown. Data from the sensors, engineered to measure biomechanical head acceleration, was collected from more than one million head impacts. “The Revolution is slightly bigger and has more padding, with a different shell configuration,” said Stefan Duma, the head of the Virginia Tech–Wake Forest School of Biomedical Engineering and Sciences. Both those elements result in lowered head acceleration, which in turn offers a significantly lower risk of concussion. The three elements involved in football concussions are the game rules, the coaching and helmet quality. A weak link in that triple combination raises the risk of concussion. Riddell’s Revolution was designed 10 years ago, but until 2011 the VSR4 was the preferred helmet of over 50 percent of NFL and college coaches. The VSR4 was designed over 20 years ago. There are newer helmets on the market. Players, parents and coaches should take the time and effort to research a variety of helmet designs and choose the equipment that offers the best head-impact protection. For more information on lowering concussion risks, please visit Sadler Sports & Recreation Insurance for the concussion resources section of our risk management content. Source: Loren Grush, “Football helmet design,” foxnews.com, 31 Jan. 2014.